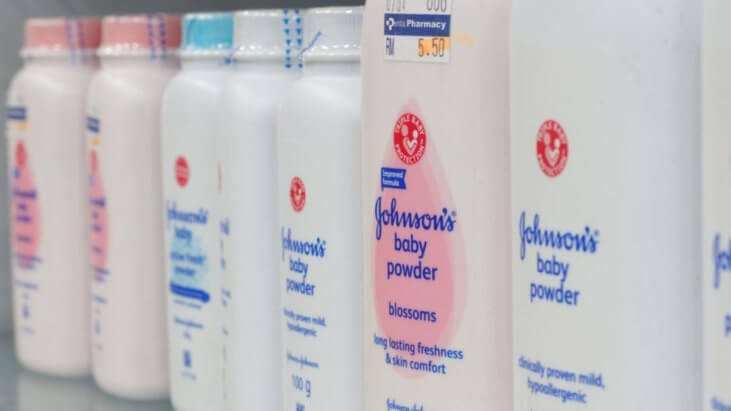 One woman had been using Johnson & Johnson baby powder regularly when she was diagnosed with cancer. Her claim: baby powder caused me to get sick. A California jury awarded $29 million to the plaintiff, Terry Leavitt, who claimed that her illness was caused by asbestos in Johnson & Johnson’s talc-based baby powder, and that she was never properly warned of the cancer risk. Leavitt was diagnosed with mesothelioma in 2017, the cancer most commonly linked to asbestos exposure. Research on the risks associated with baby powder still isn’t conclusive so it’s important that you aren’t unnecessarily alarmed. But Leavitt isn’t alone in believing that the product caused her cancer. Johnson & Johnson face 13,000 talc-related lawsuits, but still claims its products are not carcinogenic. Leavitt’s case was the first to emerge against Johnson & Johnson since Reuters published an investigation saying that some of its powders had tested positive for asbestos. The company plans to appeal, saying that the woman’s lawyers failed to produce evidence that the product contained asbestos. Leavitt initially included Imerys Talc America, Johnson & Johnson’s talc supplier, as a co-defendant, but after the company filed for bankruptcy due to the weight of talc litigation, the judge removed Imerys from the case. “I don’t know if any individuals that use Johnson & Johnson etc. have been shown to have increased amounts of asbestos in their lung tissue,” says Dr. Thomas Sporn, pathologist at Duke University Hospital. Because baby powder does have an air-born component, any asbestos that could be in the powder, could make its way into the lungs. “When you shake out the powder, it becomes airborne. I don’t know if you’ve ever dusted a baby’s bottom— it creates a little cloud and there’s a potential that you could breathe in the dust from that, which may or may not contain asbestos,” says Dr. Sporn. But the lake then begins to deposit cells onto the diaphragm, which turns the cancer into a solid. “It disturbs this balance of fluid flow so that you may look in the chest cavity, it may just look inflamed, and all you have is all this fluid,” says Dr. Friedberg. “But ultimately, what happens, almost like rings on a tree, or an onion, it gets deposited, and the tumor becomes this solid, almost wood-like mass, is what I most commonly encounter. And it can range in thickness from a millimeter or two, like an envelope, to literally two or three inches thick, especially along the diaphragm. While early talc-based lawsuits claimed talc itself had caused mesothelioma or, in some cases, ovarian cancer, they have now transitioned to claims specifically about asbestos in talc-based products. In three asbestos related claims, plaintiffs have been awarded up to $4.69 billion in damages in an ovarian cancer case, while Johnson & Johnson has won three other cases. Five additional cases have ended in a hung jury. Johnson and Johnson has appealed all plaintiff verdicts. Leavitt’s trial was nine weeks long, and it took the jury two days to reach their verdict. Jurors found both that the product was defective, and that the company had failed to properly warn about product defects. Money awarded to Leavitt was compensatory, meaning that it repaid Leavitt and her husband for their loss. The jury did not offer punitive damages to more actively punish the company for its behavior.